(formerly known as DA Hairdressing). Today we will be visiting Dave & Audrey Hairdressing and hopefully they can create magic in my hair as they always does! Thanks Audrey, the Art Director of Dave & Audrey Hairdressing for doing an excellent haircut for me. 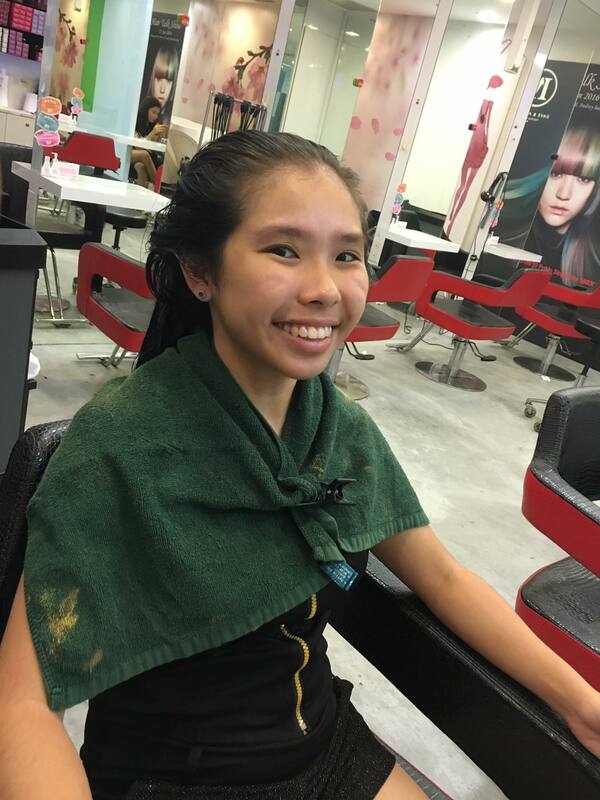 I am someone with slight OCD so a prim and proper hair is necessary for me. 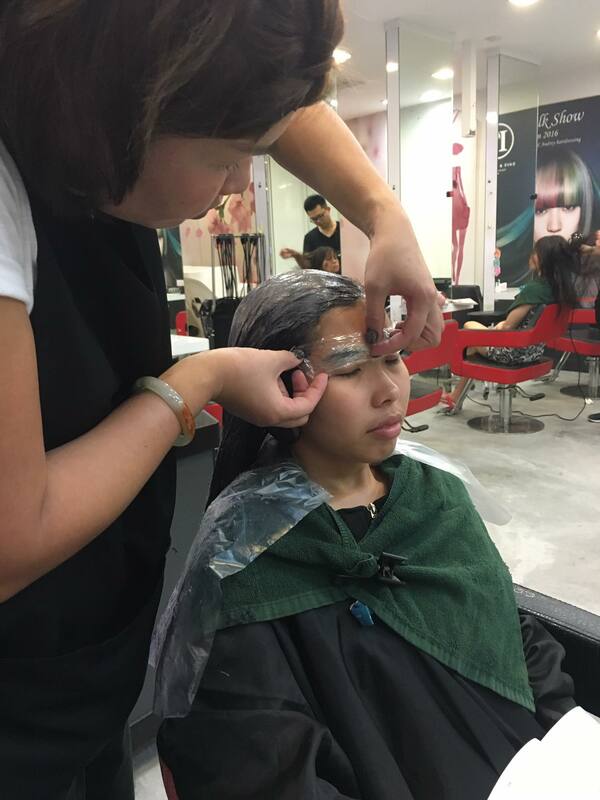 A haircut in Dave & Audrey Hairdressing will cost a range from $40 for a leading stylist and $70 for Art Director level which is Audrey. 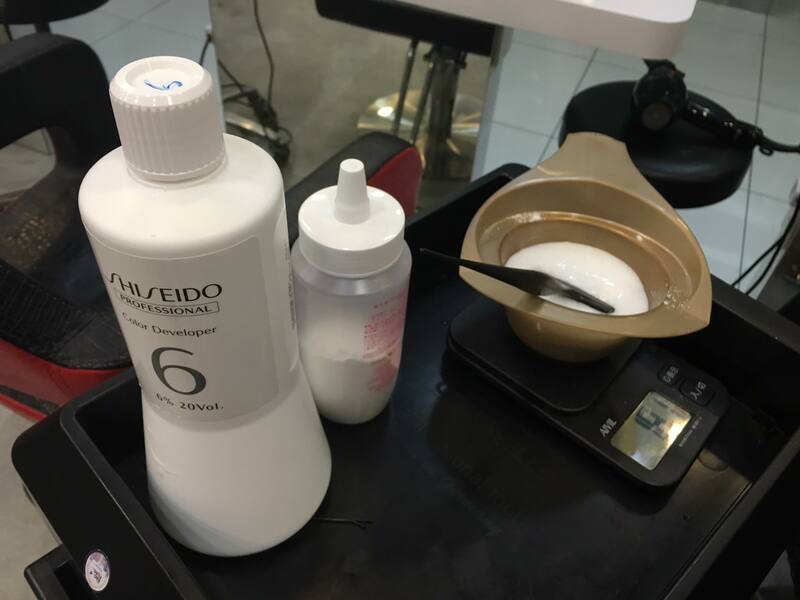 Next up we will proceed with Shiseido Bleaching. 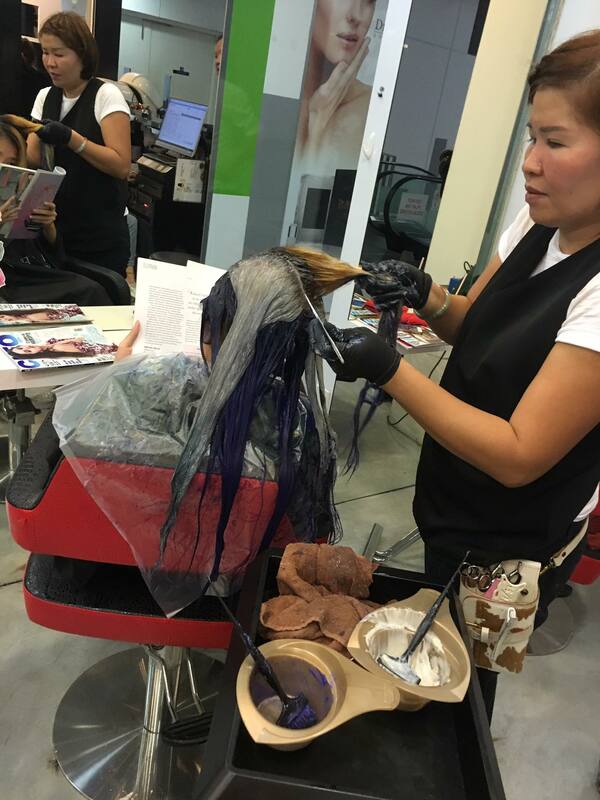 As today we will be doing Turquoise Galaxy Watercolour hairdo, we need to have my hair bleached to achieve the look. 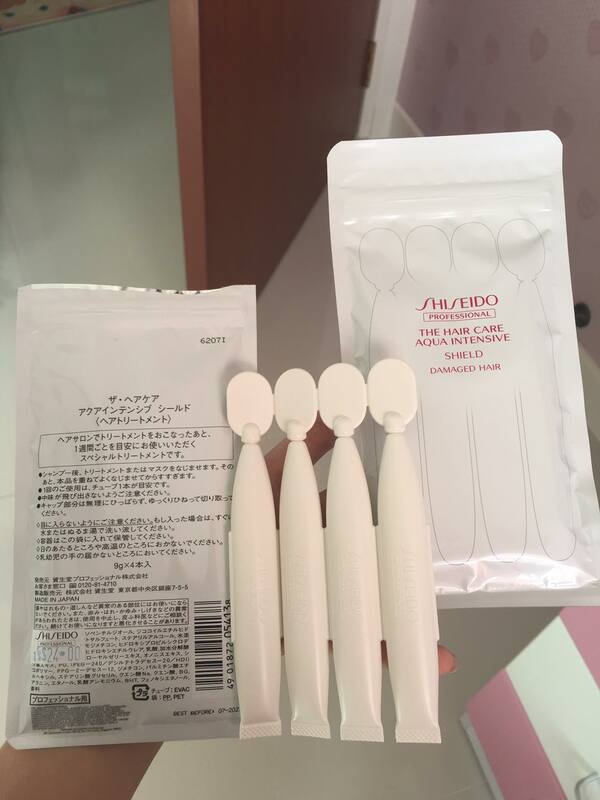 Shiseido Professional Products are non-damaging and yet time efficient. 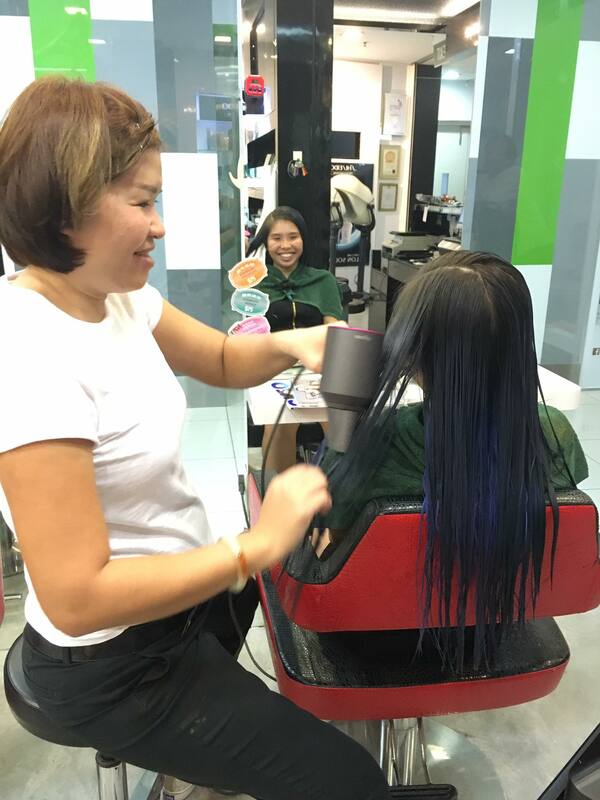 Less than 20mins, we are done with striping off the colours of my hair and open up the pores of my hair so the colours can be absorbed quickly. Audrey is very careful and she avoids the bleaching cream touching my scalp. 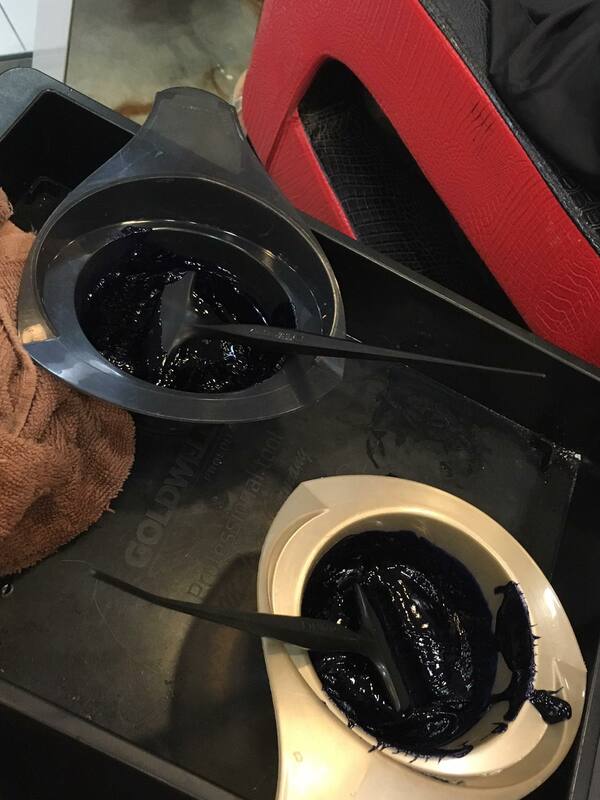 As we know if bleaching products touches our scalp it will harm the scalp so that’s is why I always tell people when it comes to hair dyeing, leave it to the professional. 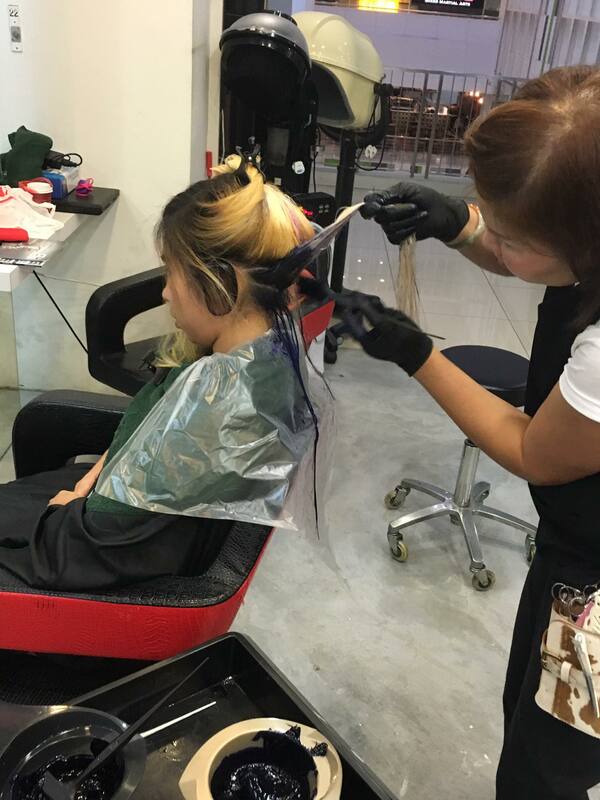 If you dye your hair at home it’s unavoidable that the chemical comes in contact with your scalp and skin. I was also given ear caps by Audrey to wear it so my ears will not come in contact with the bleach chemicals. 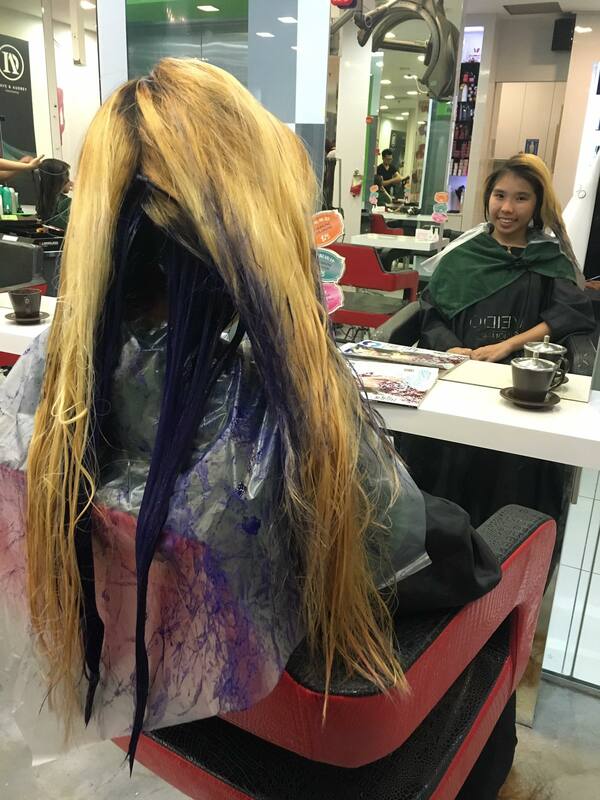 As you can see how fast my hair changes colour. 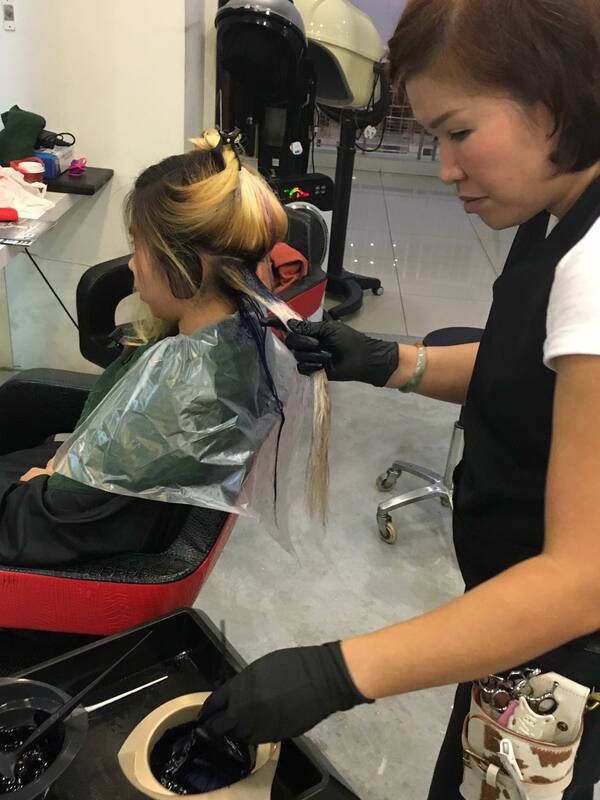 Even before the full head was applied with the bleach, some of the hair has already turned colour. Dave & Audrey Hairdressing is always very concern with how long did they leave-on the chemicals on our hair in case of over bleaching hence you can see the red timer above is there. 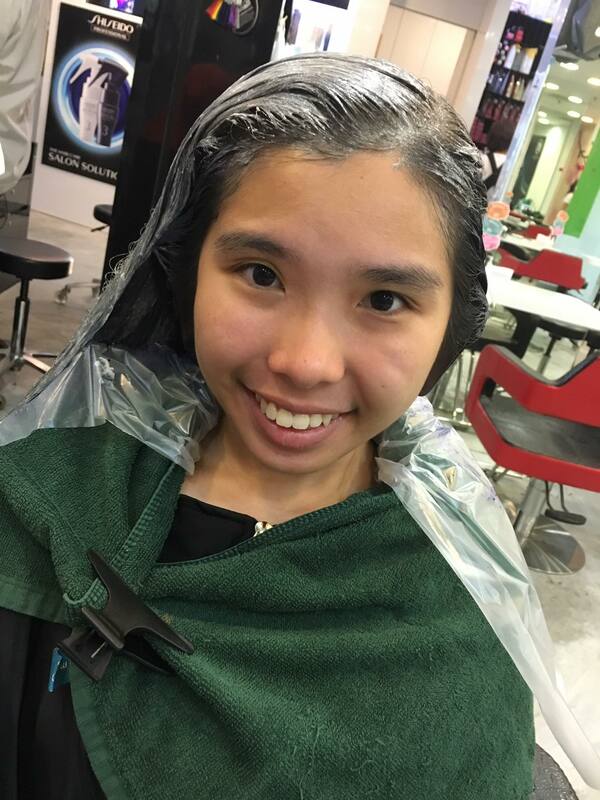 Audrey is very thoughtful as she knows I have sensitive scalp, she placed a aluminium foil between my hair to prevent overheating when it’s having chemical reaction. 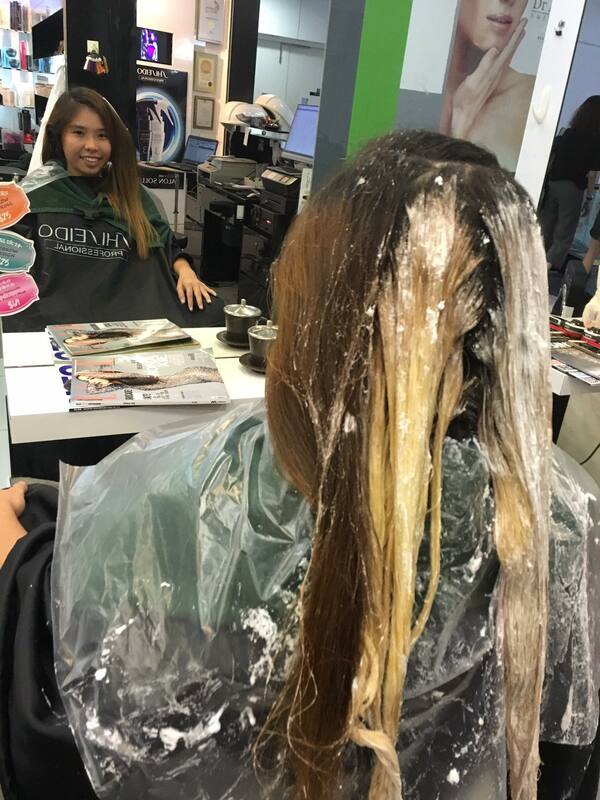 Once the timer beeped, we proceed to wash off the bleach. 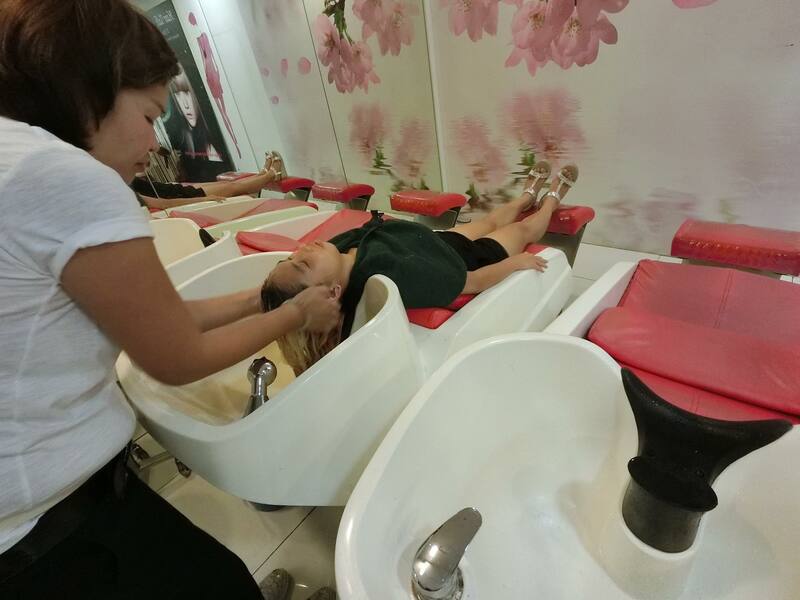 I enjoyed the head massage by Audrey and I always loved the Pomo outlet’s shampoo chair because it comes with Vibration massage function! It’s so warm and soothing. Yay, I am a temporary Blonde! Hahaha! Like a barbie doll! 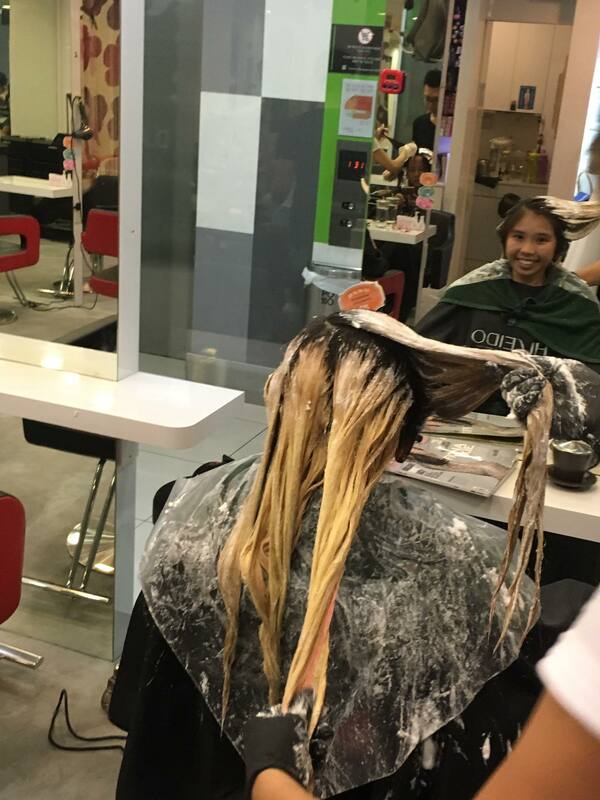 Bleaching will cost $210 onwards depending on your hair length. 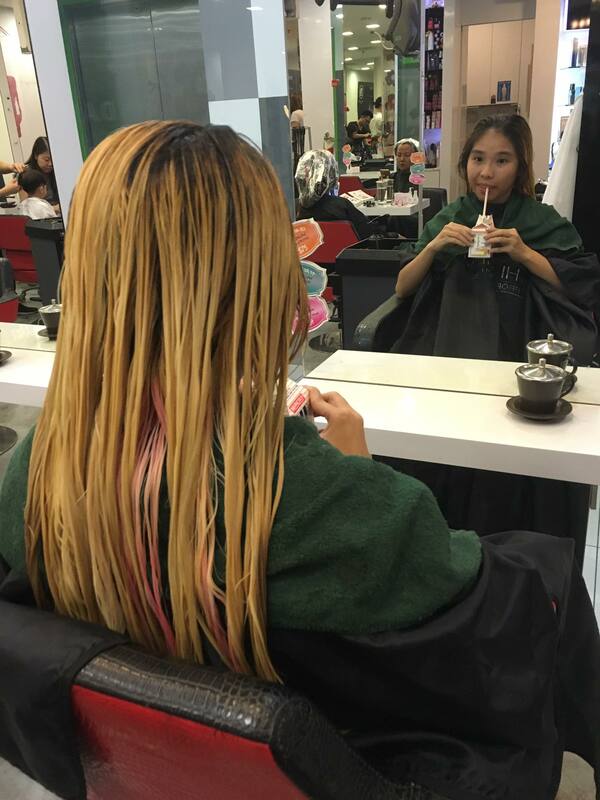 My hair is still comb-able after the bleaching session. It means no damage is done. Next up Audrey will be painting my hair with watercolours. 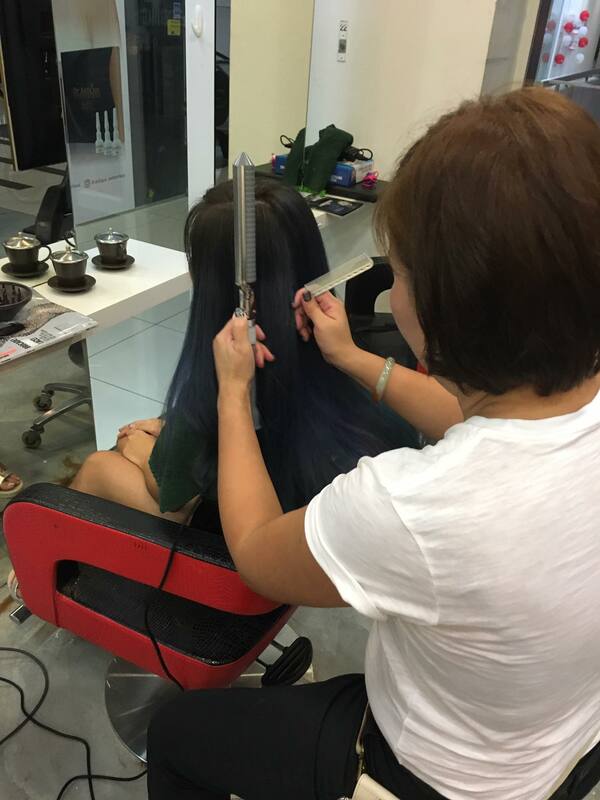 Hair colouring will cost $120 for whole head, $90 for root retouch and $180 for colour + highlight. 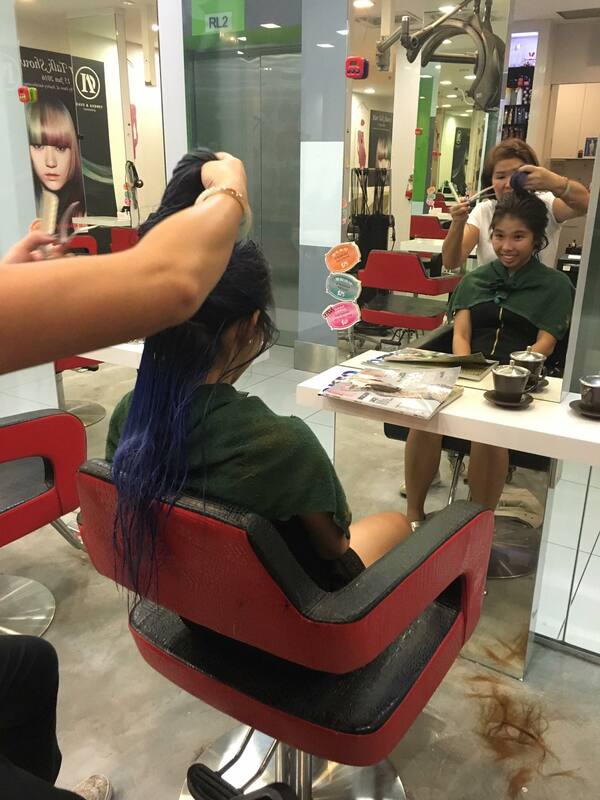 Audrey will be using 4 colours on my hair, Grey / Silver, Purple, Blue & Green. 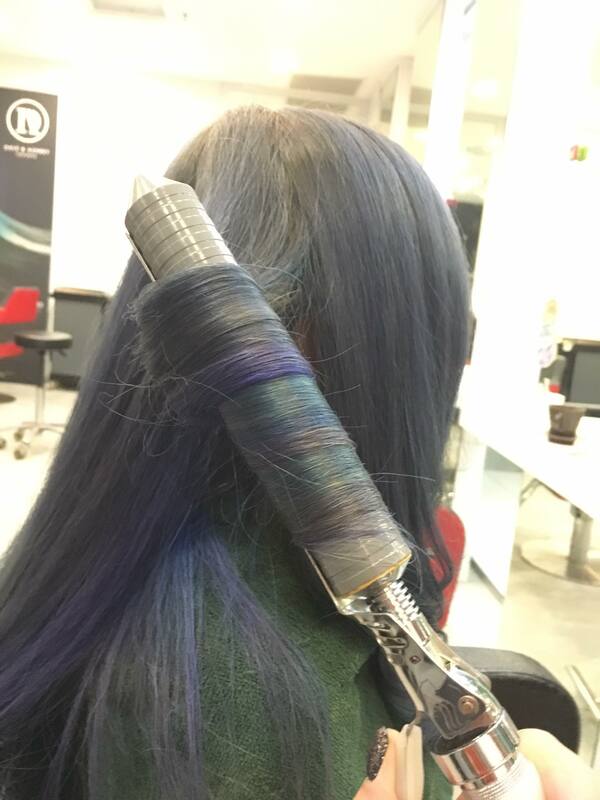 Now that the inner part is done with brighter colours. 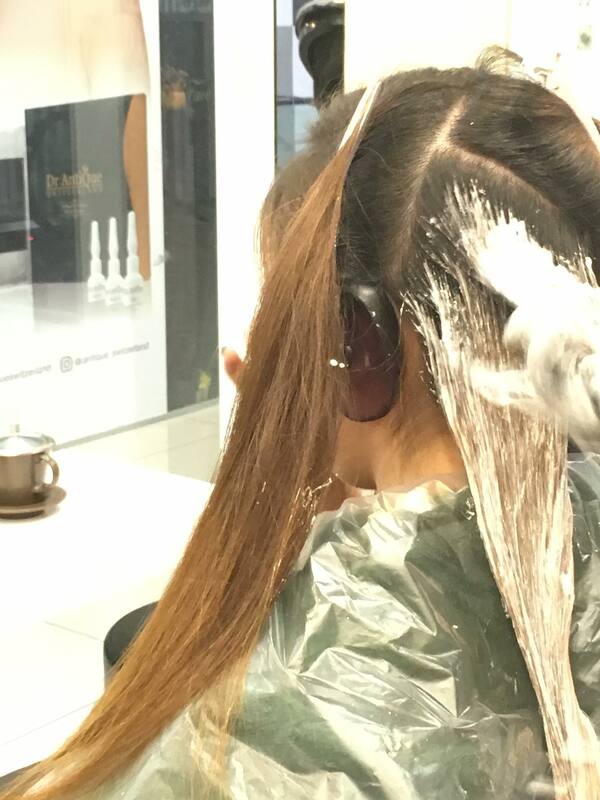 We shall proceed with a grey or ashy touch for the outer hair. 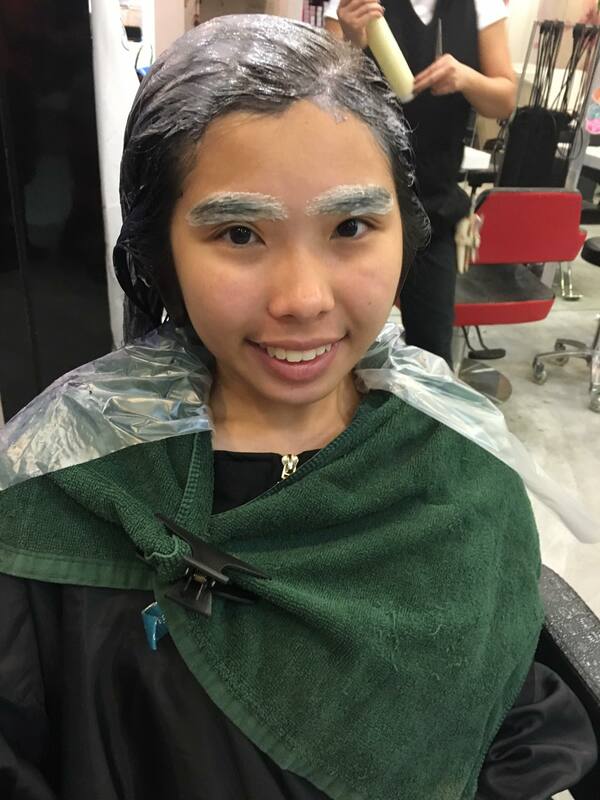 Now that my hair is done, we will do something “NEW” which is EYEBROW COLOURING! 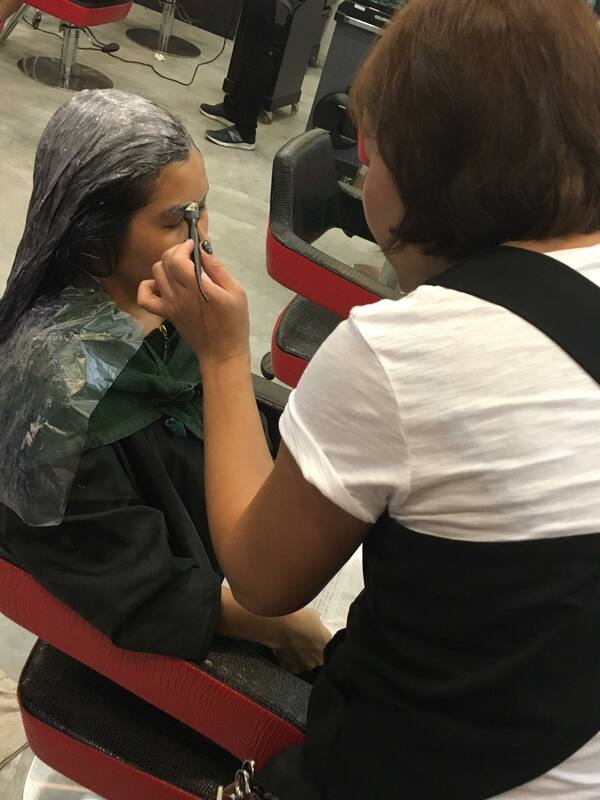 The current promotion for eyebrow colouring is $25. I requested for a brown, korean-ish look. Audrey is very professional and is very careful about not touch my eyelids. This will be how I look when my eyebrow turned white!! 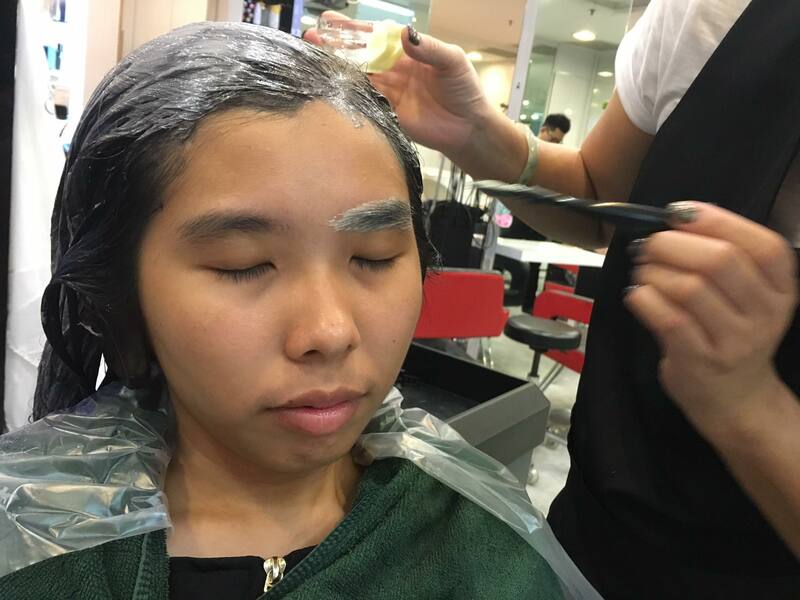 Next Audrey placed Cling Foil wrap on my eyebrow so it will absorb the colours quickly. 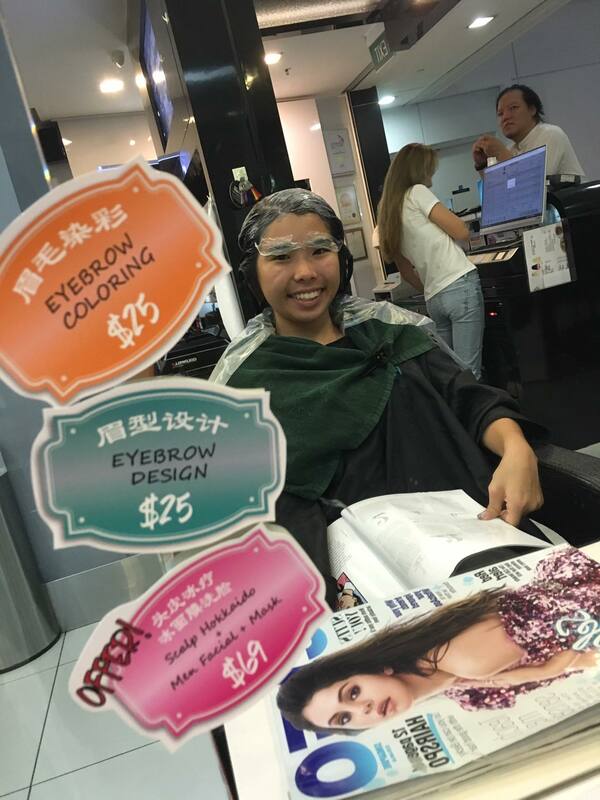 As I mentioned, Eyebrow colouring will be $25 and if you are interested, there is also Eyebrow Shaping at $25 too! Audrey carefully using a towel to shampoo my eyebrow. Tadah my lighten eyebrow colour. I kinda liked it! 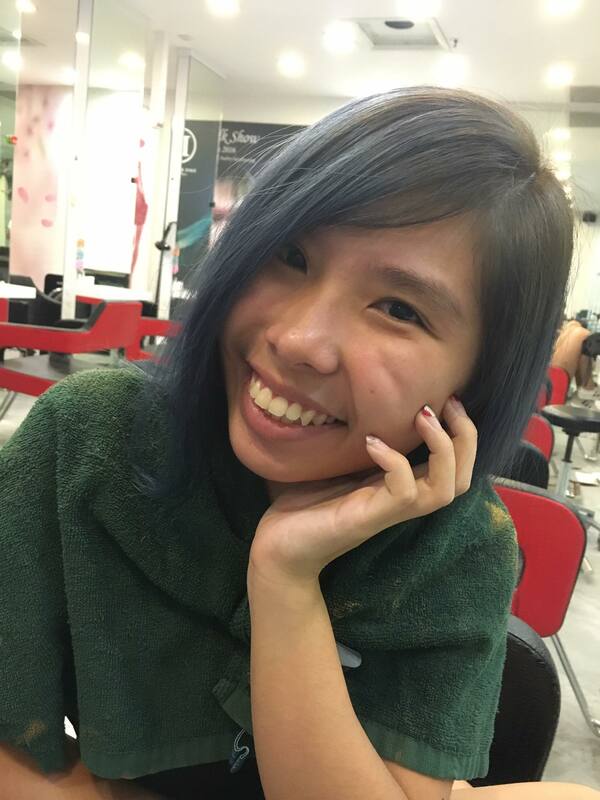 And now, my haircolour review! OMG! 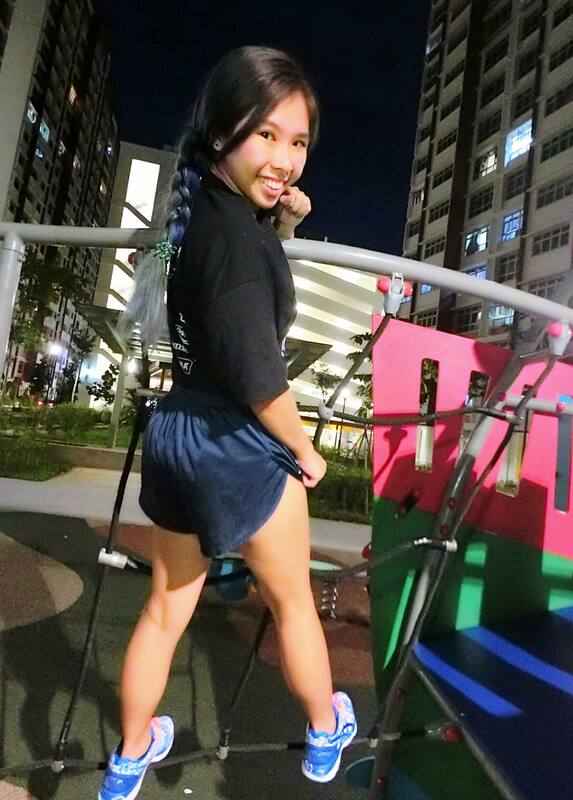 Electric Blue! I absolutely love it! 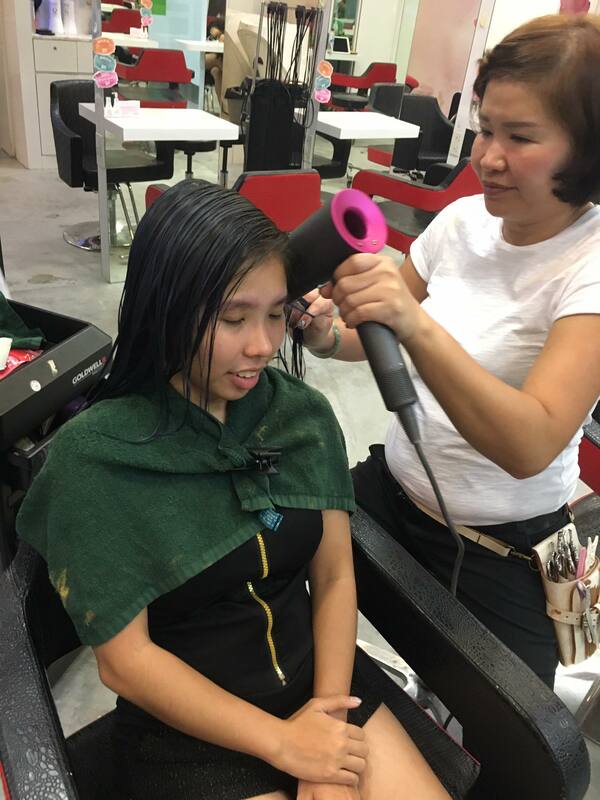 Now, Audrey is going to use Dyson dryer to dry my hair. Speaking of this highly raved Dyson dryer, I really wanted to have 1 so badly! But I have already had 2 hair dryers at home so… Having one more is a No No to Mr Kat. But the Dyson dryer is so so good. 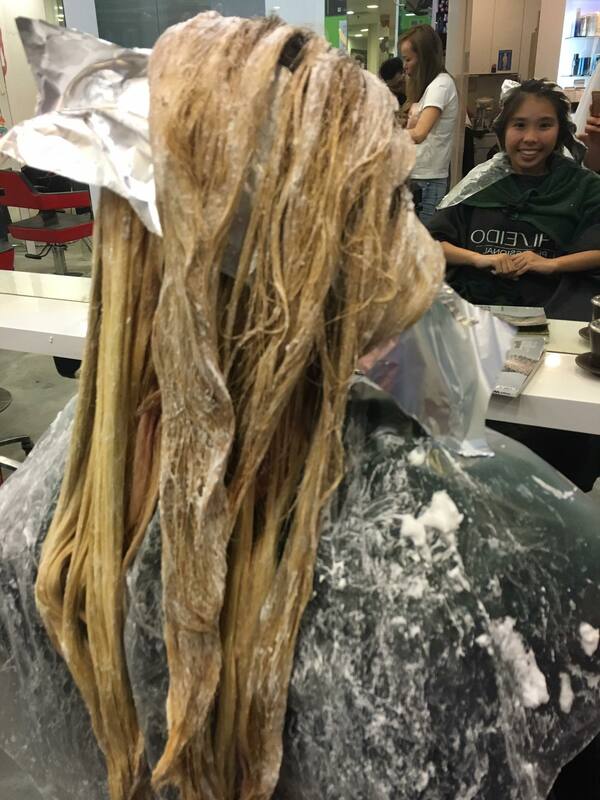 My hair usually take half an hour to 40mins to dry, today… It dried in just 15mins! 50% of the time saved! I was telling Audrey how much we both would like to have an Dyson dryer. She would like to have one at home too. Well, Dyson dryer is always on my wishlist just like a robot vacuum cleaner! My hair is dry and not dried out and it’s still have the natural shine and healthy looking hair! After we are done and it’s 10pm already but Audrey still helps me curl my hair so I could take more awesome pictures later on. 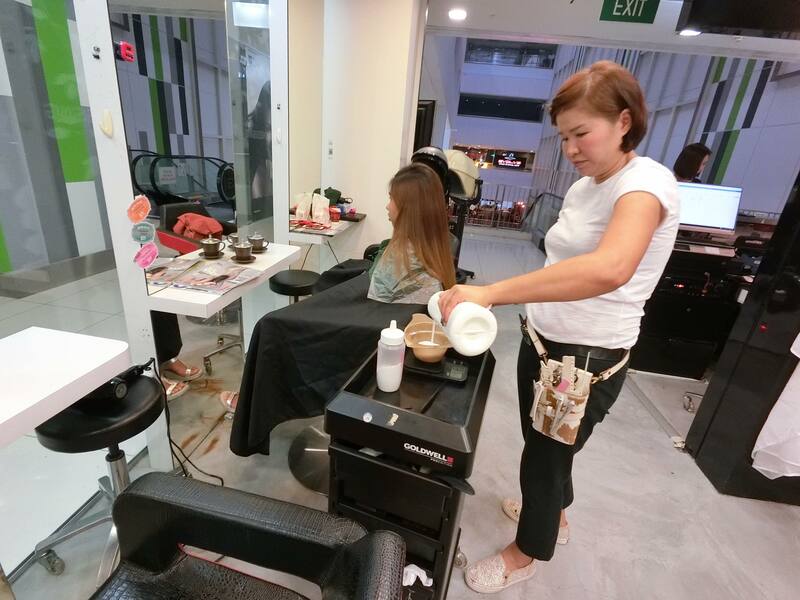 Premium styling by Dave & Audrey Hairdressing starts from $90 by consultation. If you need any styling for D&D dinner you can definitely look for Dave & Audrey hairdressing because that is what I do! 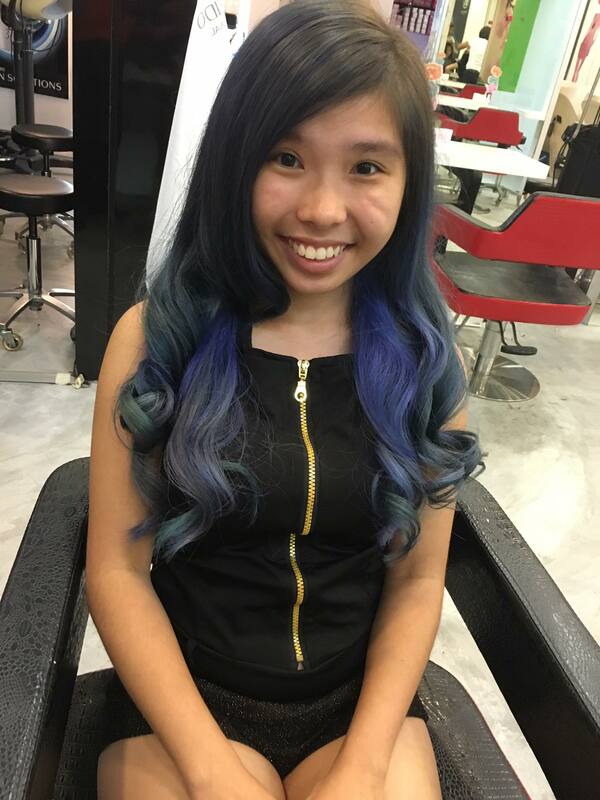 Check out the beautiful colours of my hair! My curls are also definitely done on point! 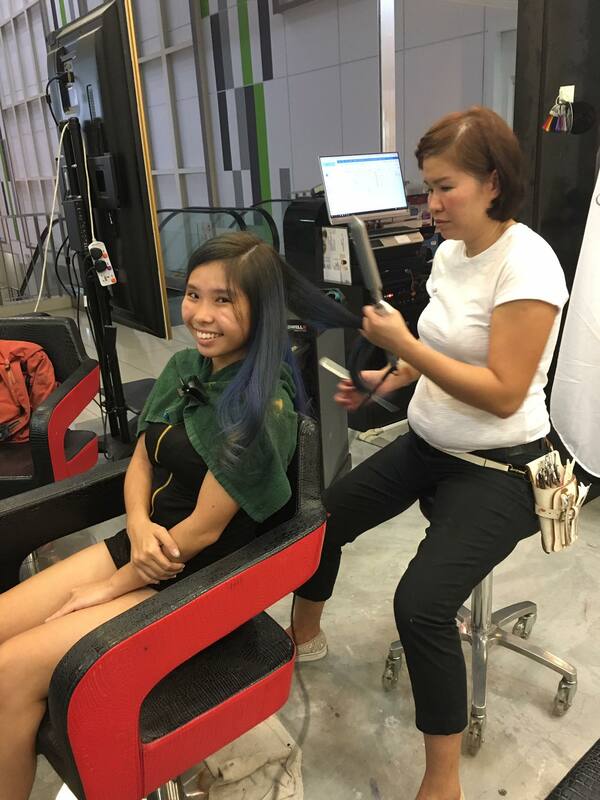 Thanks Dave & Audrey Hairdressing for the wonderful hair services provided to me for the past 2-3years! 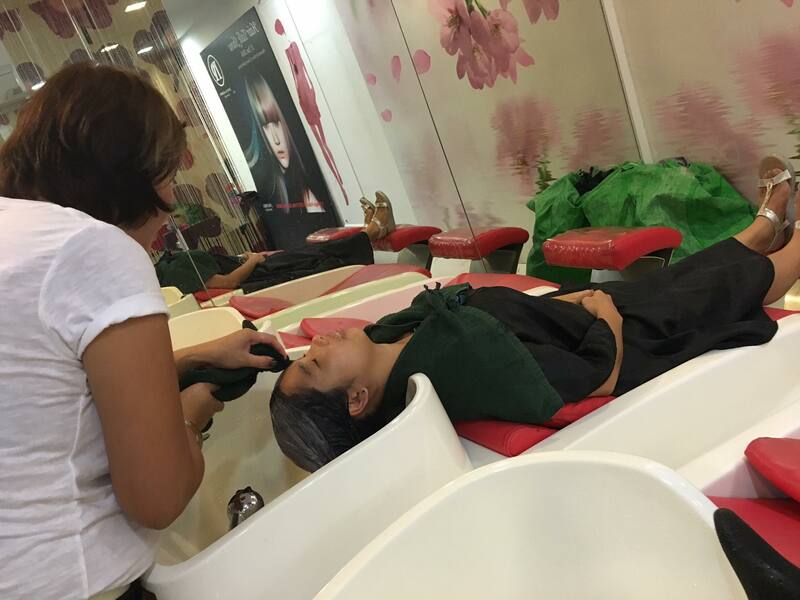 I am glad I am always coming back to them whenever I suffer from Hair Disaster! 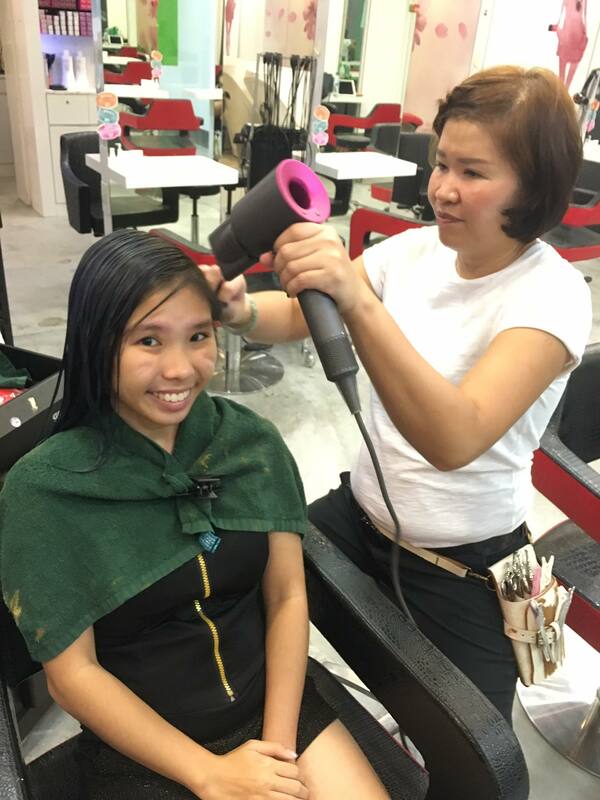 They are one of the longest-standing hair salon in Singapore since established in 2003. 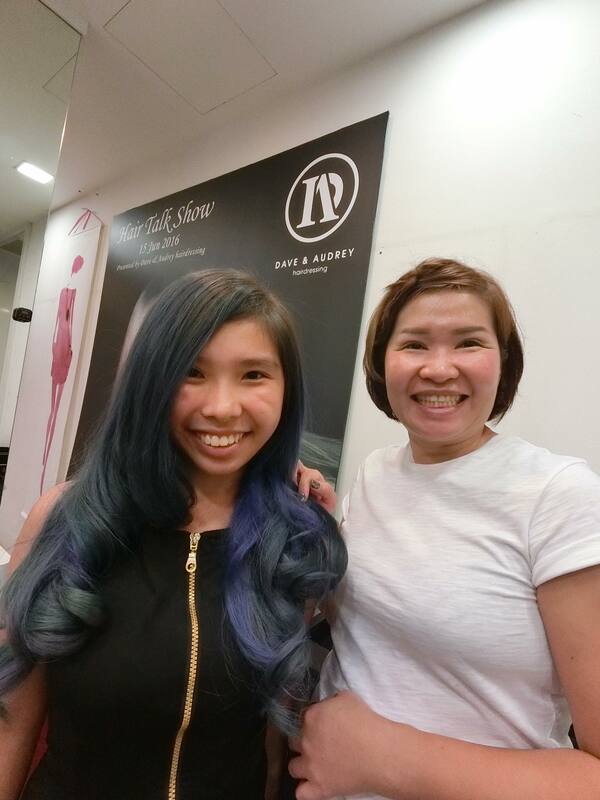 Once again, Thanks Audrey (Art Director) for performing Miracle on my hair. I am glad I could look even better during Chinese New Year celebration later this month. Lastly, thanks Dave the founder of Dave & Audrey Hairdressing for your kind generosity as always. 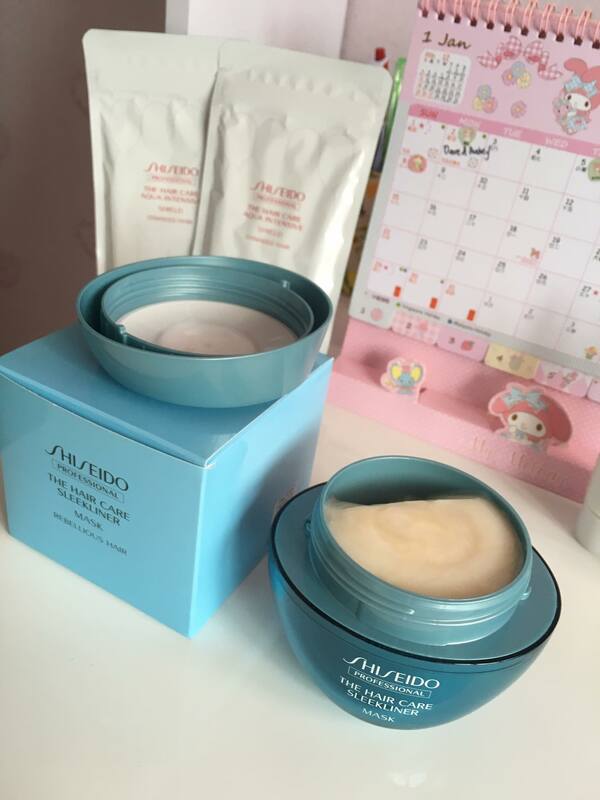 I was given lots of Shiseido Home Hair treatment to further protect my hair colour and hair texture. 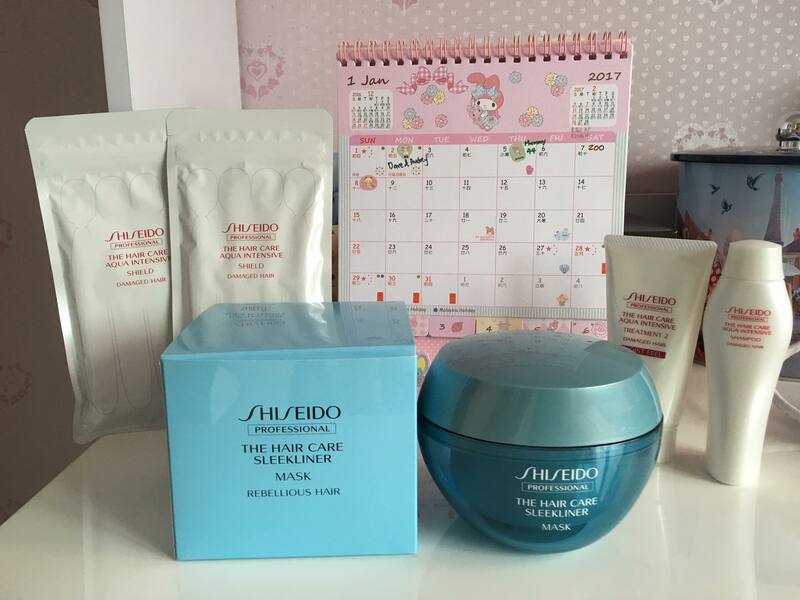 As a big fan of Shiseido Products I am so happy with their Hair Mask, Shield, Shampoo & Conditioner. 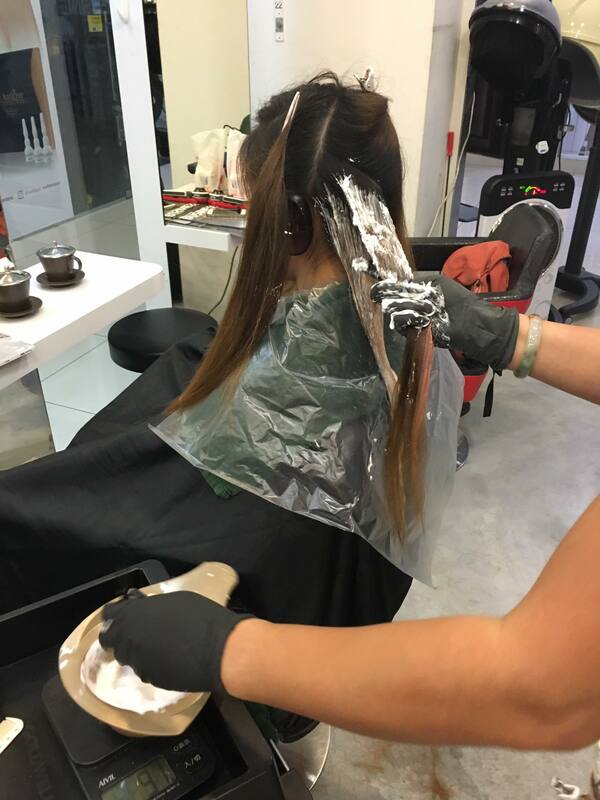 This Hair Mask is retailing at $76 at Dave & Audrey Hairdressing. 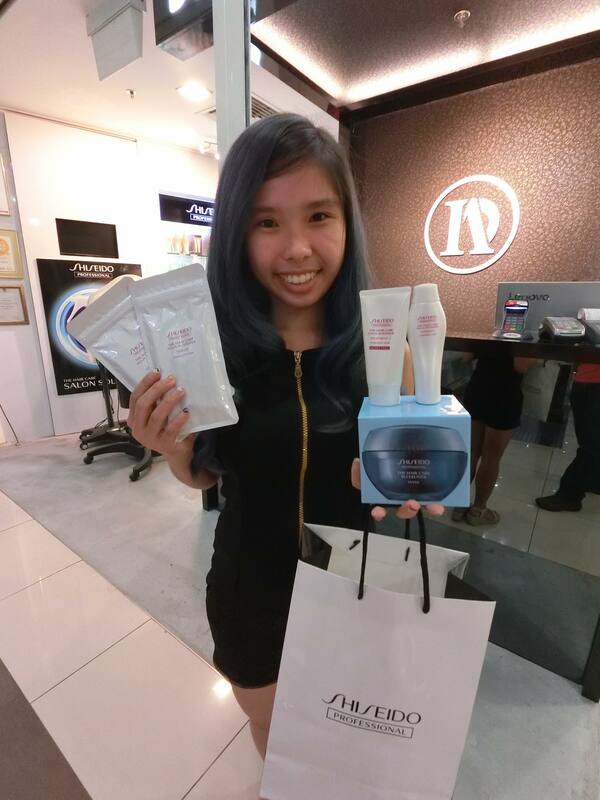 This Aqua Intensive Shield is retailing at $24 at Dave & Audrey Hairdressing. Thank you for reading this lengthy blog post! 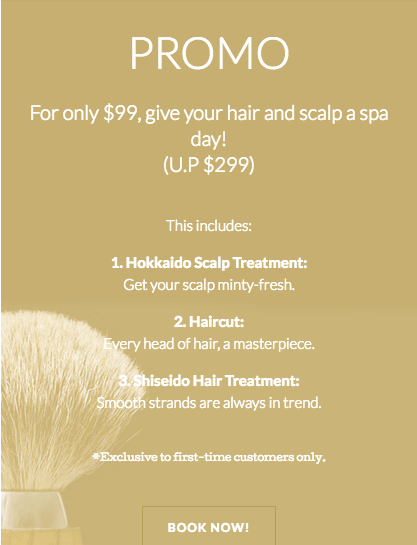 Current promotion for First-Time Customer! But regulars fret not, you still can get 10% off when you mention my name or otherwise you can get a package to enjoy more savings! 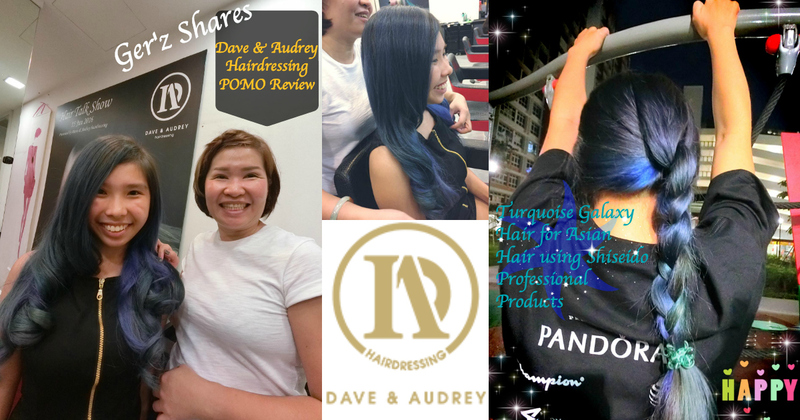 And lastly, to find out more news & promotions, “LIKE” Dave & Audrey Hairdressing Facebook Page! These are their current outlets. Do call & make appointment. 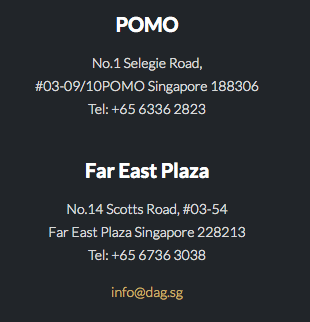 Otherwise you can visit their web appointment service which is more convenient to make appointment there! I usually use the web one! 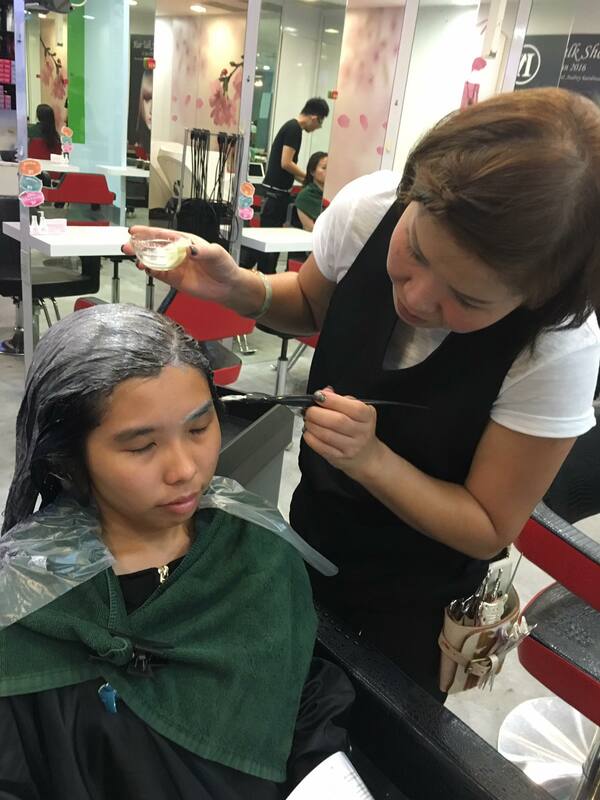 Ger’z World is the Official Blogger Ambassador for Dave & Audrey Hairdressing. 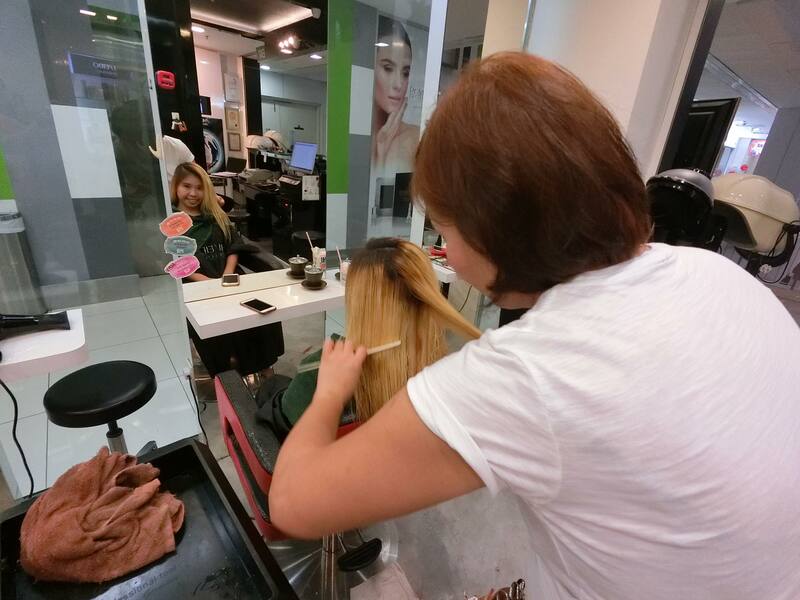 Once again thank you for reading & See you @ Dave & Audrey Hairdressing! 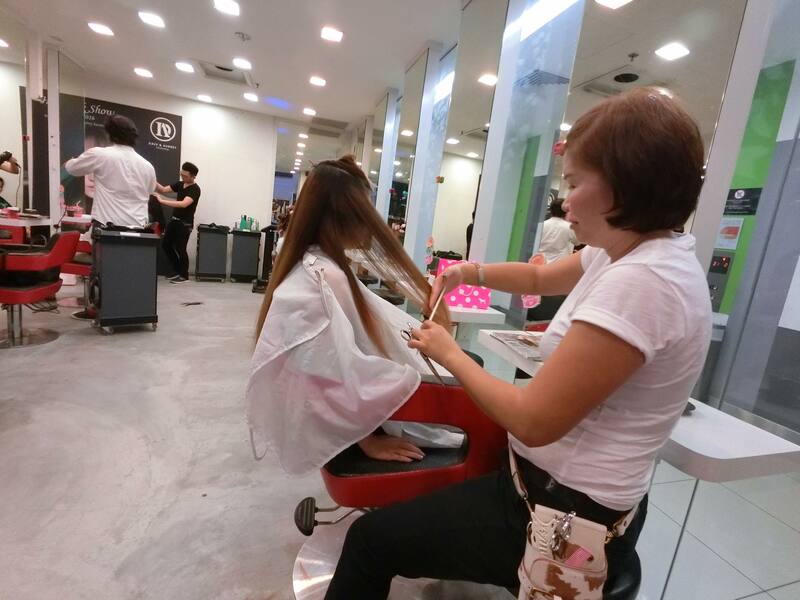 Disclaimer: I do not earn anything if you visit Dave & Audrey Hairdressing I am just helping you to get discounts. 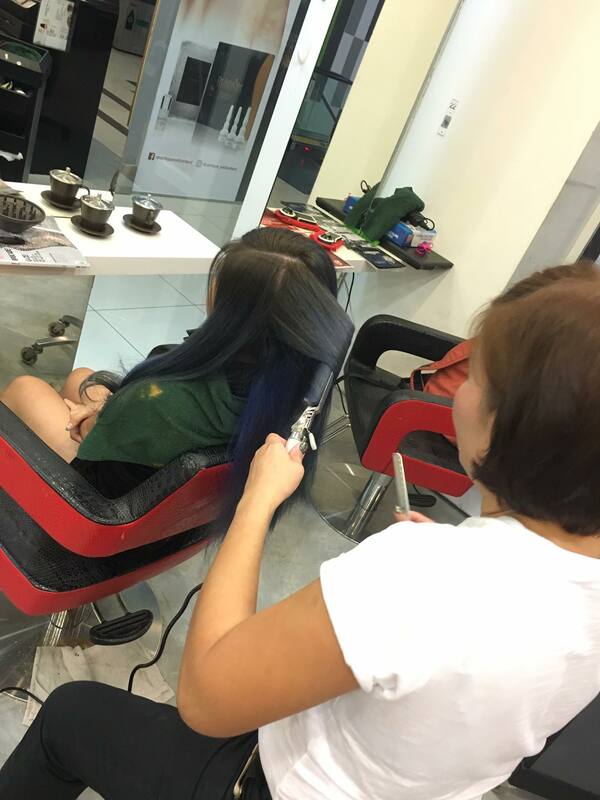 I do not receive any monetary compensation for this blogpost but I do get to enjoy the hair service done above for free which is worth a value of SGD $650.00. Do note: This post was sponsored by Dave & Audrey Hairdressing.